I'm starting a new section called 'Under £20', where you guessed it, I'll be posting hijab and purse-friendly bargains. 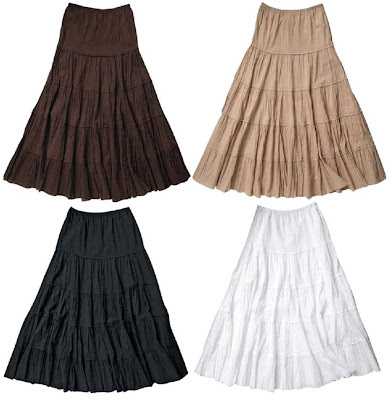 These long gypsy skirts from La Redoute are available for just £13 each. The white would be a great keep for next summer, and the darker colours if you're loving the gypsy/folk trend right now. The black skirt would be perfect with this purple and black tunic from Next.